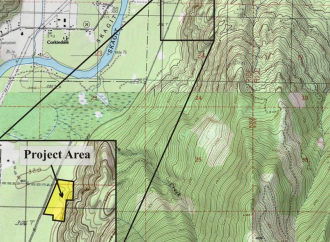 The Swinomish Indian Tribal Community (Swinomish Tribe) appreciates the opportunity to comment on, and share with you, our concerns with the project proposed by the Kiewit Company to substantially expand an existing small quarry near Marblemount. 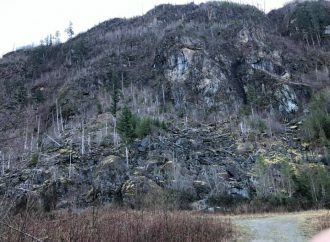 The natural habitats surrounding the Kiewit quarry site are important resources that deserve protection, and are part of the Wild & Scenic River designated area of the Skagit River. 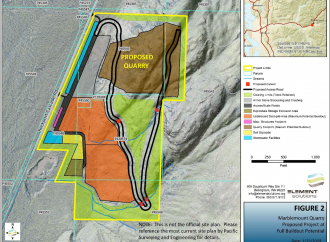 We believe that the proposed quarry project would have unnecessary and unmitigated adverse impacts to the natural resources in this area, which we seek to avoid and minimize. The Swinomish Tribe’s offers the following comments, that largely reflect those already submitted by the Skagit River System Cooperative, and include additional concerns regarding impacts to wildlife and cultural resources. First, we request an extension of the public comment period under the State Environmental Policy Act, chapter 43.21C RCW. The proposed project includes a large number of detailed project documents to review, many of which are lengthy and complex. 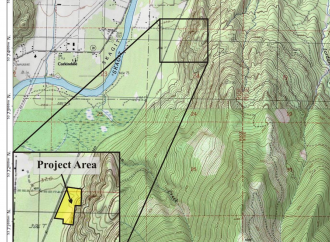 The Swinomish Tribe has not been able to complete more than an initial review of the project application since the documents were only posted online recently, and the 15-day review period is an insufficient timeframe in which to complete an adequate review. Second, the Swinomish Tribe believes that a Determination of Significance is warranted under WAC 197-11-330 and that an Environmental Impact Statement (EIS) should be required. This project proposal will likely have a significant adverse impact on the local environment, particularly due to the local context. The absolute quantitative effects (the amount of rock removed, the number of truck trips, blasting impacts, etc.) would be large regardless of context. But, whereas a similar development in an industrialized region might be considered less disruptive, the introduction of such immense changes in activity, noise, and the landscape itself will be highly significant in what is now a tranquil corner of a remote part of the County. Additionally, this change in activity may last for decades, and the cumulative impacts have not been identified or addressed. Several aspects of this project, including noise, traffic, visual impacts, blasting, clearing, etc., may not individually trigger an EIS, but combined they constitute a significant environmental impact that should be examined individually and cumulatively in an EIS. 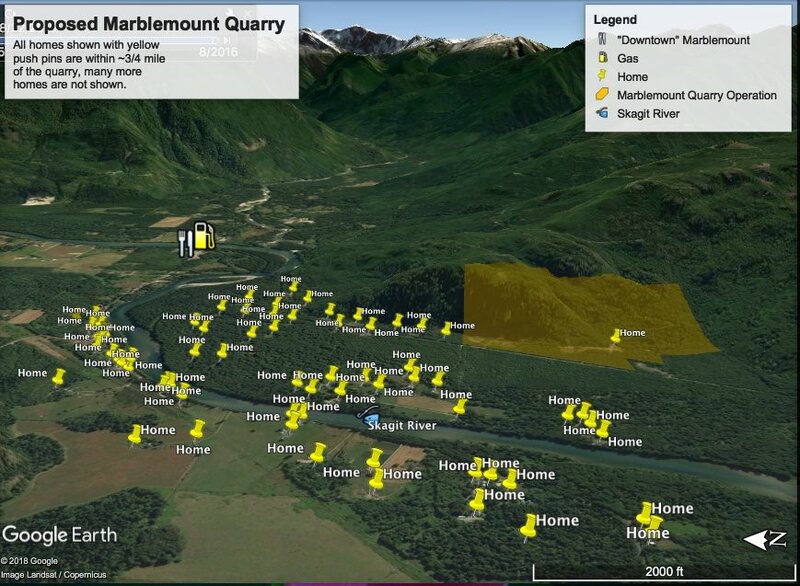 Third, although the Swinomish Tribe understand that the streams that traverse the site are not currently fish bearing, there is a possibility that changes in drainage patterns resulting from resculpting through the quarry activities could concentrate and direct flow in the future. In anticipation of that potential outcome we believe that to avoid or minimize potential environmental impacts, the road proposed for the site should avoid two unnecessary stream crossings (on “Watercourse B” in the critical areas assessment, Figure 4). If the “switchback” in the proposed road were moved farther north then the two stream crossings and associated riparian impacts could be completely avoided. Culvert crossings on steep forest roads concentrate flow, provide potential blockages, require regular maintenance, and are disproportionately responsible for debris flows. Debris flows are catastrophic for stream ecosystems, whether those streams are fish bearing or not. 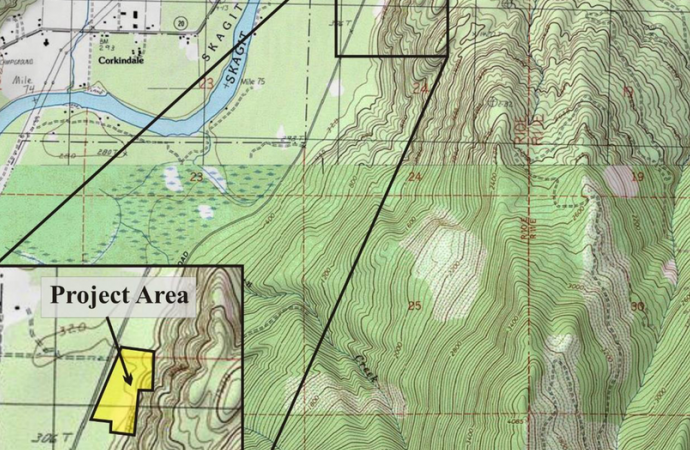 We strongly urge the requirement that the quarry logging and access road be re-aligned to avoid the mapped streams entirely, instead of putting the switchback on the south side of the stream. Fourth, hunting and gathering have always been essential parts of the Swinomish Tribe’s culture as a way to provide nourishment to our bodies and spirits. The right to hunt and gather on open and unclaimed lands throughout the Washington Territory was reserved by our ancestors as a signatory to the Treaty of Elliott. 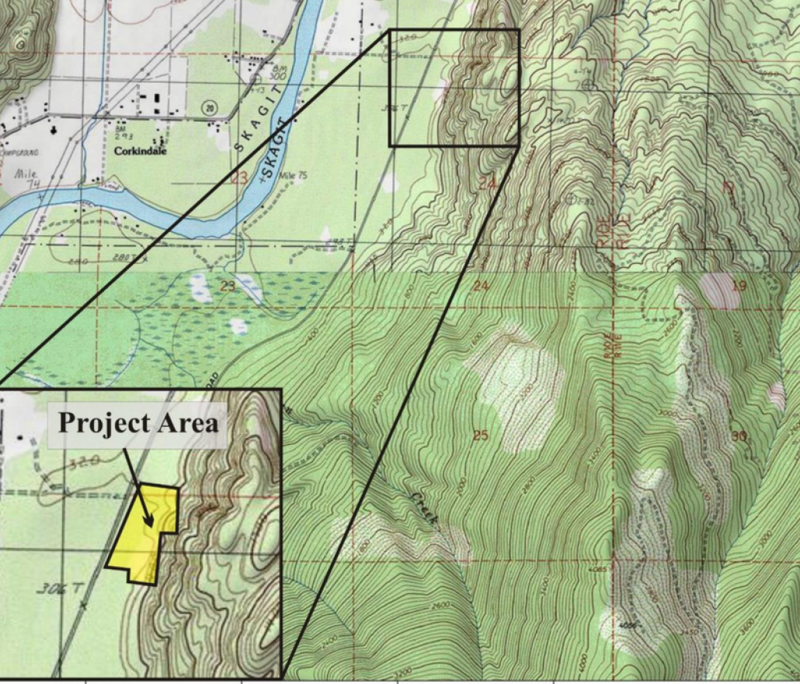 Some of the Swinomish Tribe’s hunting grounds for deer and elk are in the vicinity of the project proposal. However, we have not had sufficient time to review the detailed biological assessment submitted by the applicant. We therefore reserve the right to comment on any and all potential adverse impacts to our Treaty reserved hunting and gathering rights in future comment letters. Fifth, the cultural resources and traditional practices of the Swinomish Tribe are an important, essential component of the tribal community’s way of life. We are aware of the cultural resources report submitted by the project applicant. However, the Swinomish Tribe has held two funerals in the past week, one this week for the tragic hit-and-run incident that caused the death of a beloved tribal community member. Thus, we have not had an opportunity to review the cultural resources report, but intend to do so, and therefore reserve the right to comment on anyand all potential adverse impacts to the Tribe’s cultural resources and traditional practices in future comment letters. In summary, we believe that the proposed significant expansion of the Kiewit Company’s Marblemount quarry would have several impacts that necessitate an extension of the SEPA comment period so that we and others can more thoroughly examine the potential adverse project impacts. We believe that those impacts should be examined together, as well as cumulatively, in an EIS. The Swinomish Tribe appreciates your consideration of our comments. If you have any questions, please don’t hesitate to contact me at (360) 399-5804 or atrainer@swinomish.nsn.us.